Fresh Juice, Milkshake, Tea, Coffee, Samosa, Chana Chat etc. 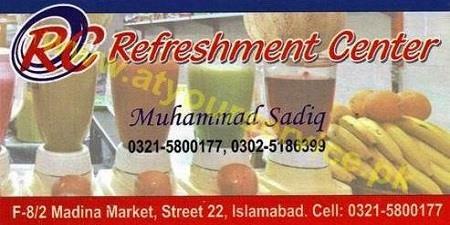 Refreshment Center is located in Madina Market F 8/2, Islamabad. It serves fresh juice, milk shake, tea, coffee, samosa, chana chat etc.